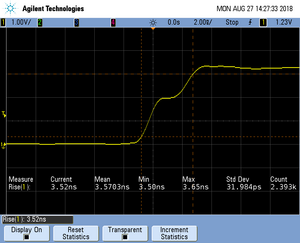 This article describes how to get started with trace on the NXP iMX RT1050 MCU. This article assumes that there is already a basic knowledge about trace in general (what is trace, what different implementations of trace are there, etc.). If this is not the case, we recommend to read Trace chapter in the J-Link User Manual (UM08001). 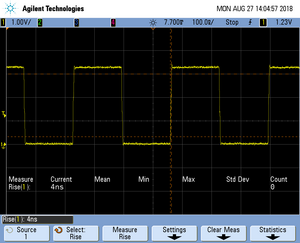 The NXP iMX RT1050MCU implements tracing via pins, so a J-Trace can be used for tracing. The following sample projects are designed to be used with J-Trace PRO and Ozone to demonstrate streaming trace. 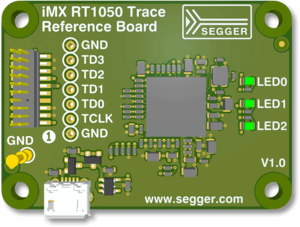 The projects have been tested with the minimum requirements mentioned above and a SEGGER iMX RT1050 Trace Reference Board which can be purchased on the SEGGER Website. The sample projects come with a pre-configured project file for Ozone that runs out-of-the box. In order to rebuild the sample projects, SEGGER Embedded Studio can be used. 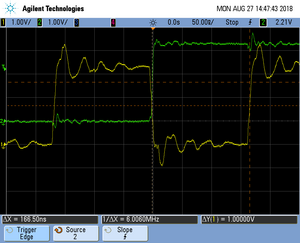 The trace clock signal quality shows multiple trace clock cycles on the tested hardware as reference. This page was last modified on 25 January 2019, at 17:54.